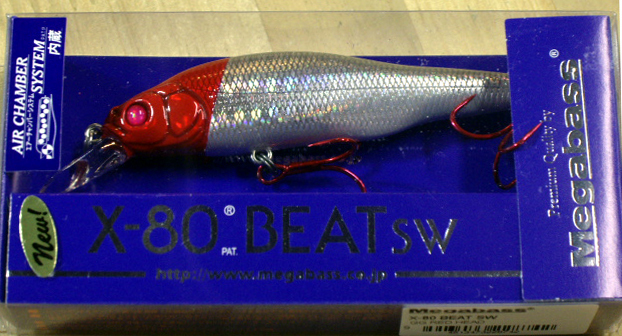 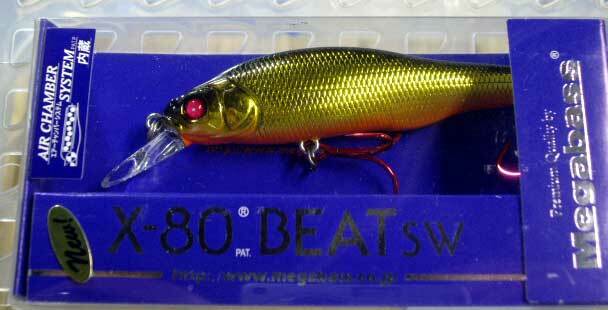 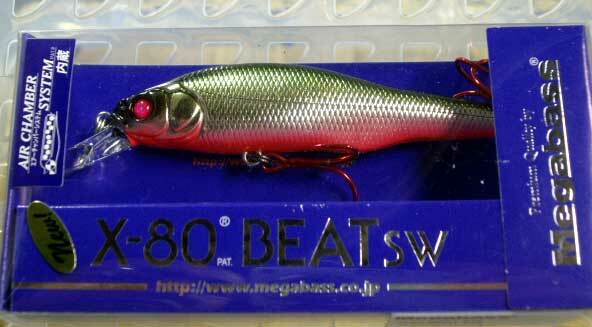 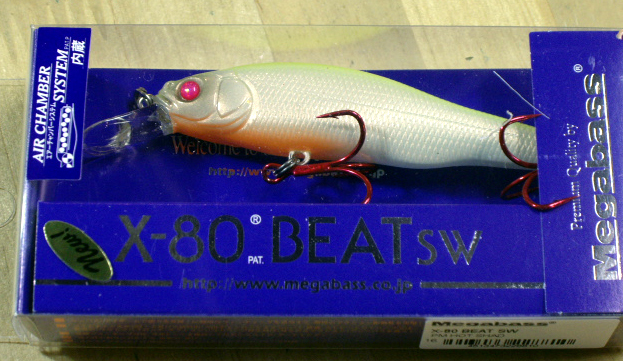 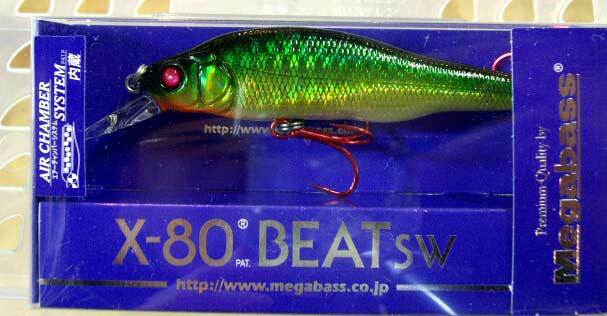 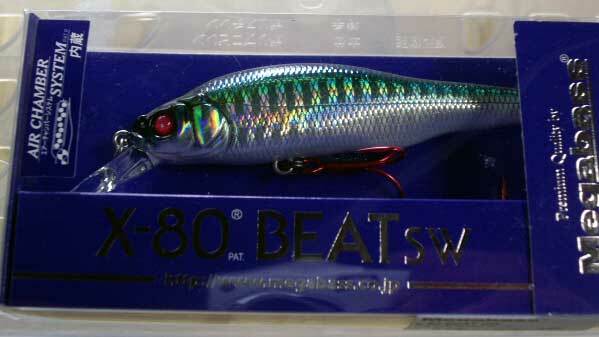 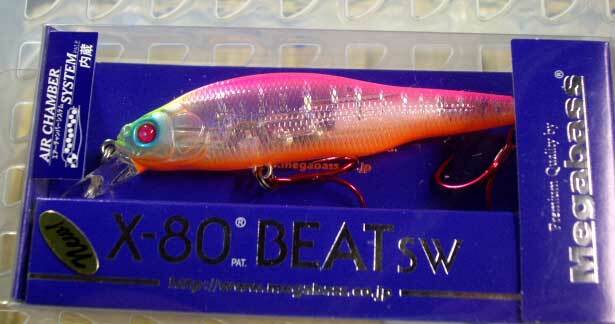 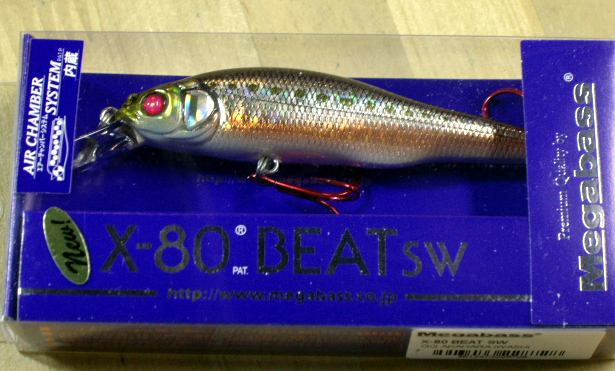 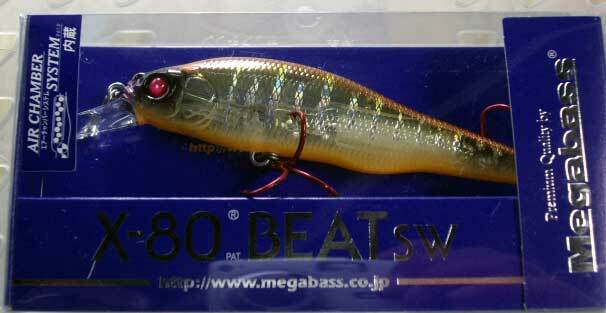 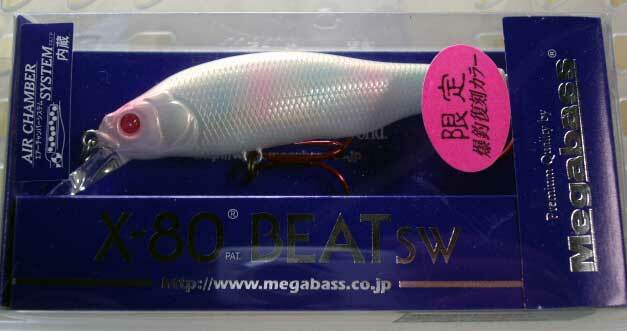 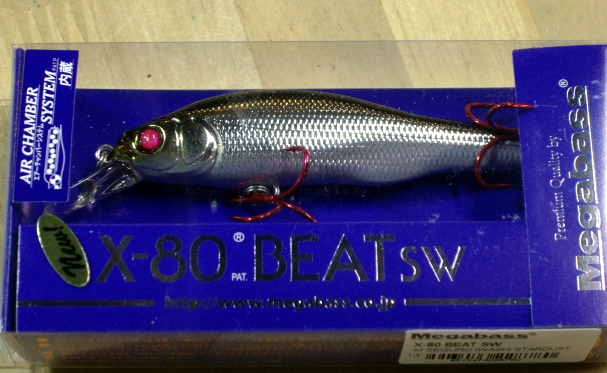 X-80 SW has swept sea bass anglers throughout the world. 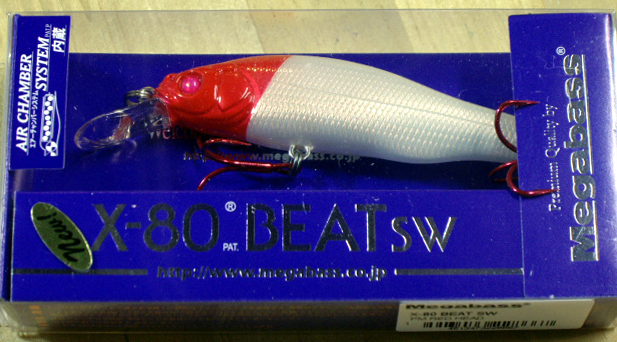 The X-80 Beat is designed to maximize the overwhelming potential of the X-80 platform for daytime angling. 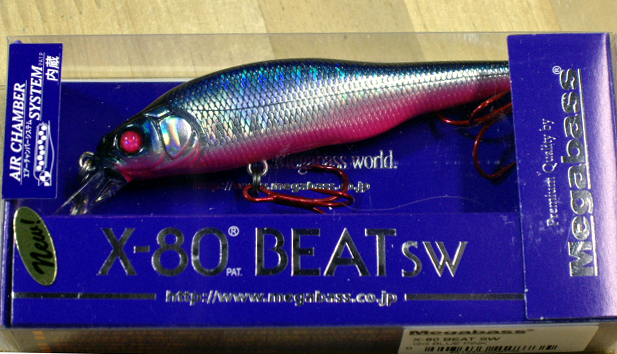 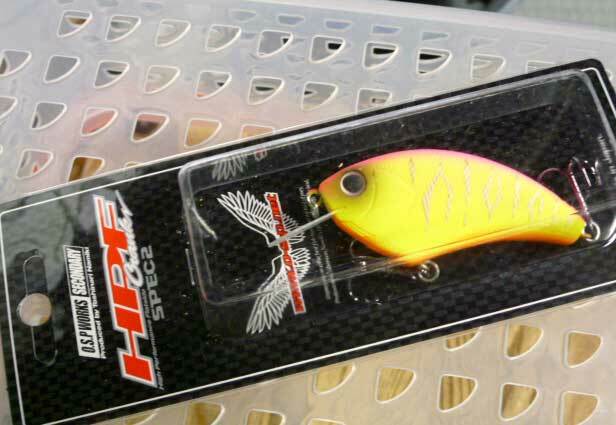 The X-80 Beat responds to extremely high-speed retrieve and performs trick darting with stunning high speed that is not possible with usual minnows. 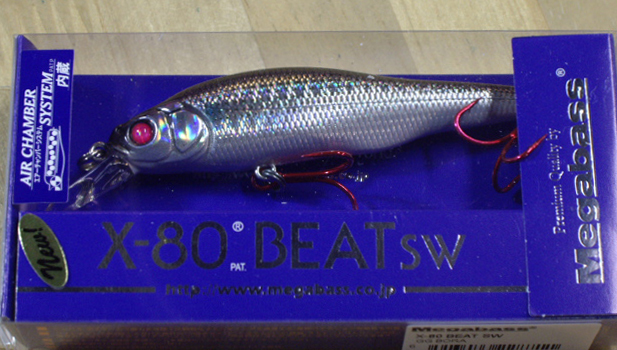 The astounding vibration and frequency is carried to sea bass deep in the water and the vibrations ensure your success by exciting bass even in daytime. 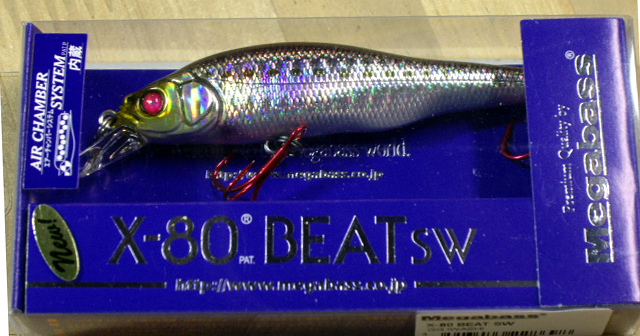 The X-80 Beat responds to dynamic jerking, the proven X-80 body slashes through the water with side-to-side slide darting at the same depth. 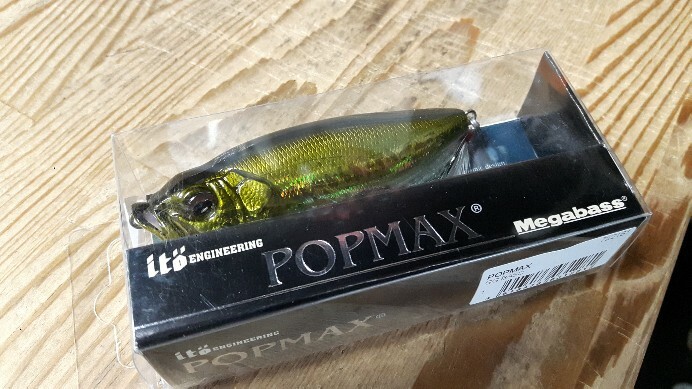 When the retrieve is stopped, the bait falls with a writhing movement due to unique weight distribution and new Air Chamber System PAT.P.